Jitter is a key performance factor in high-speed digital transmission systems, such as synchronous optical networks/synchronous digital hierarchy (SONET/SDH), optical transport networks (OTN), and 10 Gigabit Ethernet (GE). This paper outlines the differences between telecom and datacom jitter standards and describes the various jitter applications for compliance testing of 10 G small form-factor pluggable (XFP) transceivers, which have become the dominant 10 G optical interface for telecom and datacom applications. Accurate jitter measurements are essential for ensuring error-free high-speed data transmission lines. Jitter which is any phase modulation above 10 Hz in a digital signal, is unwanted and always present within devices, systems, and networks. To ensure interoperability between devices and to minimize signal degradation due to jitter accumulation, limits must be set for the maximum level of jitter for an output interface as well as the maximum level tolerated at an input. Standards bodies determined these limits which can be divided into two categories: telecommunications and data communications. The major telecom standards organizations are International Telecommunications Union (ITU-T) and Telcordia, while the Institute of Electrical and Electronic Engineers (IEEE) is the main datacom standardization organization. Telecom and datacom technologies use different timing methods. The system components in synchronous systems, such as SDH/SONET, synchronized to a common clock. In asynchronous and serial systems, such as 10 GE, distributed clocks or clock signals recovered from the data provide the component timing. While it is important to limit jitter generated by components jitter transferred from one component to another is less important than that for synchronous systems, where jitter can increase as it transfers from component to component. Well-defined band-limited jitter generation, tolerance, and transfer requirements exist for SDH/SONET/OTN. specifications and test methodologies attempt to verify that the relative time instability of transmitted signals is not excessive. measured using sinusoidal jitter. In Ethernet systems, jitter tolerance is measured using a stressed signal with combinations of impairments. with equipment from different vendors, and hot-plug capable. Three relevant test configurations for jitter performance measurements are: jitter generation, jitter tolerance, and jitter transfer. in clock oscillators and clock data recovery circuits. Output jitter is the total jitter measured at the output of a system, specified in unit intervals (UI). can cause errors, whereas RMS values provide information about the average total amount of jitter. one of the most important characteristics of the clock recovery and input circuitry of network equipment. 3. Jitter transfer (jitter transfer function, JTF): A measure of the amount of jitter transferred from the input to the output of the network equipment. transfer measurement is required to confirm that cascaded NEs in the transmission system have not amplified the jitter. where the BER reduces to 10-12 at both eye edges, and subtracting this interval from the bit period. The measurement unfortunately takes a long time. In practice, the data points are measured from a BER of 10-3 to 10-8 and then extrapolated to a BER of 10-12.
area in Figure 2b). The receiver is expected to operate successfully within this small area despite the impairments. must achieve a BER of <10-12. 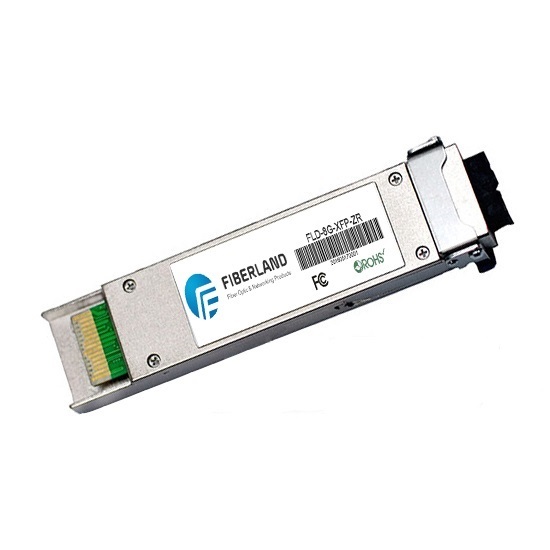 serial interconnect, handles differential 10 Gbps signals, which the other end is an optical connection, that complies with 10 Gbps standards. XFP modules are tested using a compliance test board that has four high-speed electrical connections, two inputs and two outputs. be used to verify the performance of the transmit and receive sides independently. Three basic test configurations are used to test XFP jitter. For test equipment to meet compliance requirements, it must support all basic jitter applications for both electrical and optical interfaces.